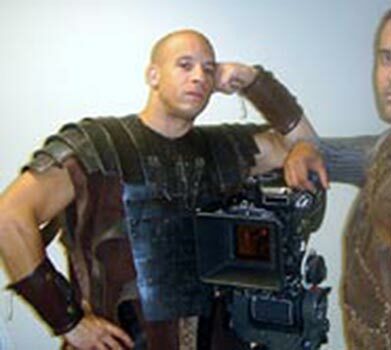 Vin Diesel's HANNIBAL THE CONQUEROR project has been in limbo for years but it seems it might finally get off the ground. Vin left a cryptic message on his popular Facebook page (39 million likes!!!) that insinuated the Hannibal project was picked up by a studio with some big financing and it will be a trilogy. It's not much to go on but it's more than anything else from the past. I'm actually looking forward to this. It sounds cool. I think the third Riddick movie is a go as well. The second one was kind of a peplum in space, come to think of it. Yes, the CHRONICLES OF RIDDICK was most definitely a PEPLUM in space which is why I loved it!